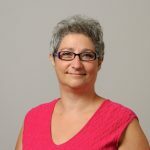 Research Synopsis: Dr. Coppola studies language acquisition and language creation as well as the relationship between language and cognition, as revealed by D/deaf individuals who vary in their experience with language. She is particularly interested in how early exposure to language fosters typical development in social cognition and numerical cognition. Recent publications: Brentari, D., M. Coppola, P. W. Cho, and A. Senghas. (accepted). Handshape complexity as a precursor to phonology: Variation, emergence, and acquisition. Language Acquisition. Coppola, M. and D. Brentari. (2014). From iconic handshapes to grammatical contrasts: Longitudinal evidence from a child homesigner. Frontiers in Psychology, 5, 830. doi: 10.3389/fpsyg.2014.00830. Also published as an E-book: Language by mouth and by hand. Coppola, M. and A. Senghas. (2010). Deixis in an emerging sign language. In Sign Languages: A Cambridge Language Survey, 543-569. D. Brentari, ed. Cambridge, UK: Cambridge University Press.